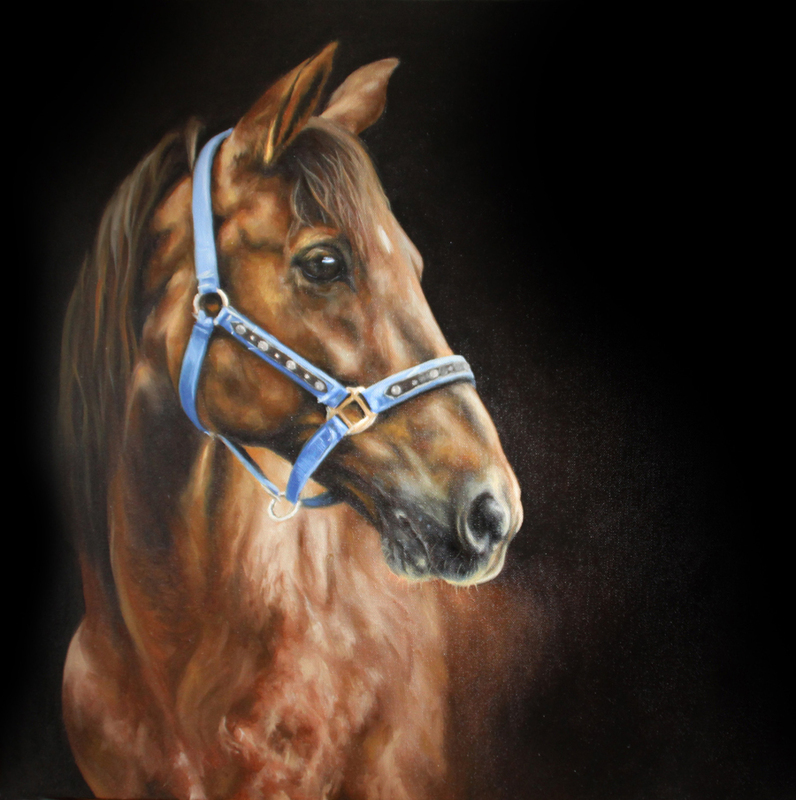 I welcome commissions for pet portraits, wildlife and other subjects. I use a range of mediums including oil on canvas, pencil on paper and pastels on pastelmat card. 1. Take a look at my gallery of previous commissions, this will help you to decide what medium to choose and give you an idea of what size you would like your portrait to be. I can create your artwork on paper (any size within reason) and a wide range of canvas sizes - available sizes can be found here. 2. Choose your photos of your chosen subject/s and email them to me jo@artbyjomaynard.co.uk - or you can contact me to let me know what you'd like or if you have any questions. Once you are happy to go ahead you can send me photos of your chosen subject/s. 3. I will create a couple of 'mock-ups' from your photos to show you how your portrait could look (these are created on photoshop by manipulating your photos to make them look more like artwork - example...) Once you are happy with the 'mock-up' image you like the best then just give me the go ahead and I'll get started on your portrait. You will be able to choose whether or not to receive work in progress photos of your art. 4. When your artwork is complete I package it in my branded gift box and post to you by special delivery (usually next-day) UK delivery is included in the price, please contact me for a quote for international delivery. I will provide you with a tracking number for your parcel. 5. If you are entirely happy with your artwork then you can pay your invoice (nominating a charity which will receive 10% of your payment) or if you are not happy with your art, you have 5 working days to return it to me (at your own expense) If your artwork reaches me in perfect condition then your invoice will be cancelled and I reserve the right to re-sell the artwork. Please don't hesitate to get in touch if you have any questions at all questions at all about this process, or simply want to chat to me about your pet/s, child/ren or other subject!